The Mayor of the City of Joondalup has officially opened a new specialist prostate cancer service alongside special host, Mr Jeff Newman 0AM. The Prostate Care Centre brings together a network of dedicated medical specialists and allied health professionals including Prostate Cancer Specialist Nurse Julie Sykes whose position, a first for Perth’s northern suburbs, is funded through the generous support of Prostate Cancer Foundation of Australia (PCFA). PCFA launched the Prostate Cancer Specialist Nursing Service in 2012 and Julie joins 46 existing specialist nurses who are currently working in hospitals across Australia. ‘A cancer diagnosis is usually a devastating blow to men and their families. For many, understanding the diagnosis, treatment options, and treatment plan can be difficult to navigate. From the very beginning, I work with the patient, his family or carer, and the medical team in a supportive capacity to ensure that care is well coordinated and that the process is understood,’ said Ms Sykes. By combining highly skilled medical specialists from different disciplines into a dedicated prostate team, the Prostate Care Centre aims to ensure that men achieve the best possible outcome through access to the latest diagnostic and treatment advances. ‘When a man is referred to the Prostate Care Centre, he may physically be seen by one or two consultants but, in most cases, his condition will also be discussed at a multidisciplinary meeting where the entire prostate specialist medical team is present to evaluate and decide upon the best course of action,’ said Associate Professor Raphael Chee, radiation oncologist. TV Personality and philanthropist, Mr Jeff Newman OAM, who chaired the opening, knows only too well how a prostate cancer diagnosis can impact life. ‘It’s no secret that I am a prostate cancer survivor. I can appreciate the toll that travel can take when having to attend consultations and treatment sessions over an extended period of time, so this is good news for Perth’s northern suburbs. With more men dying each year of prostate cancer than women die of breast cancer, my message is that we need to increase awareness for men’s health in general. It needs significantly more attention. I’m particularly encouraged by the educational events that the Prostate Care Centre is also providing to the community,’ he said. Tracey Roberts JP, Mayor of the City of Wanneroo, supported the centre as a local service for the northern suburbs community and for rural patients who need to travel to the metropolitan area for treatment. The Hon. Albert Jacob JP, Mayor of the City of Joondalup, welcomed the new centre as a boost for the city’s medical precinct. ‘It is a pleasure to officially open the Prostate Care Centre. As our population ages, it will provide residents in the northern corridor that are affected by prostate cancer with combined specialist care and support closer to home,’ he said. 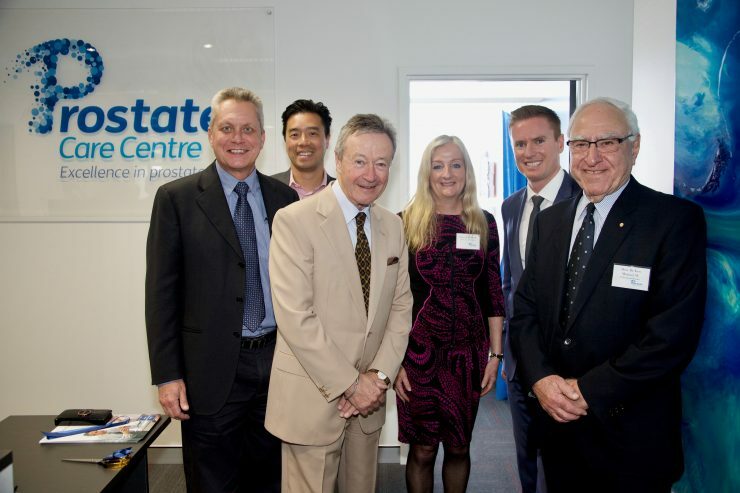 The Prostate Care Centre is a collaborative initiative between GenesisCare and Perth Radiological Centre and is located on level 2 at Shenton House, 57 Shenton Avenue (opposite Joondalup Health Campus). Consultation with the prostate cancer specialist nurse is available free of charge to all men diagnosed with prostate cancer living within the Joondalup or Wanneroo city boundaries, or to those under the care of a specialist at Shenton House. Consultation with the specialists requires a referral and private consultation fees apply. More information can be obtained by visiting prostatecarecentre.com.au or by phoning Julie Sykes on 08 9400 6271.